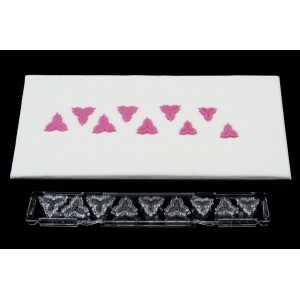 Triple Holly Leaf Clikstix set with veiner on ejector. Average size of shapes: 20mm - 30mm. Th.. Complete Candy Font Lowercase a-z and ampersand. Average size of font: 30mm in height. The Win.. Complete Candy Font Uppercase A-Z and ampersand. Average size of font: 25mm in height. The Win.. Complete Candy Number cutter set (0-9). Average size of font: 30mm in height. The Windsor Clik.. Complete Gothic Lowercase a-z and ampersand. Average size of font: 13mm - 20mm in height. The .. Complete Gothic Uppercase A-Z and ampersand. Average size of font: 20mm in height. The Windsor.. Complete Gothic Number cutter set (0-9). Average size of font: 23mm in height. The Windsor Cli.. Complete Groovy Lowercase a-z and ampersand Average size of font: 13mm - 20mm in height The Wi.. Complete Groovy Uppercase A-Z and ampersand. Average size of font: 20mm in height. The Windsor.. Complete Groovy Number cutter set (0-9). Average size of font: 22mm in height. The Windsor Cli.. Single Holly Leaf Clikstix set with veiner on ejector. Average size of shapes: 20mm - 50mm. Th..
Ivy Leaf Clikstix set with veiner on ejector. Average size of shapes: 17mm - 30mm. The Windsor.. 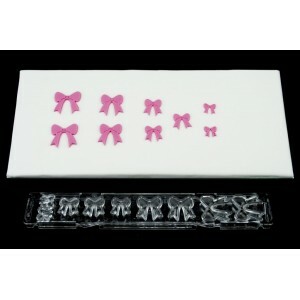 Bow Clikstix set. Average size of shapes: 6mm - 35mm. The Windsor Clikstix range, hard-wearing..
Confetti Clikstix set. Average size of shapes: 10mm - 20mm. The Windsor Clikstix range, hard-w..
Multi Daisy Clikstix set. Average size of shapes: 12mm - 23mm. The Windsor Clikstix range, har..
Assorted Handbags Clikstix set with embosser on ejector. Average size of shapes: 20mm - 30mm. ..
Multi Heart Clikstix set. Average size of shapes: 7mm - 25mm. The Windsor Clikstix range, hard..
Sports Clikstix set with embosser on ejector. Average size of shapes: 5mm - 95mm eg Football is 2..
Multi Star Clikstix set. Average size of shapes: 7mm - 27mm. The Windsor Clikstix range, hard-..
DUE TO A MANUFACTURING ISSUE THIS ITEM IS CURRENTLY UNAVAILABLE Complete Script Number cutter set..